In sixteenth-century India, women are treated no better than chattel. They have few rights as individuals and are forced to rely on their husbands and other male relatives for survival. Even the queens themselves are required to live by these restraining rules, but one defies them all. This is the story of Nur Jahan, the twentieth wife of Emperor Jahangir and the true power behind the throne. Few outside of India know of Nur Jahan, but her legacy changes the entire direction of the country. No one expects it to. 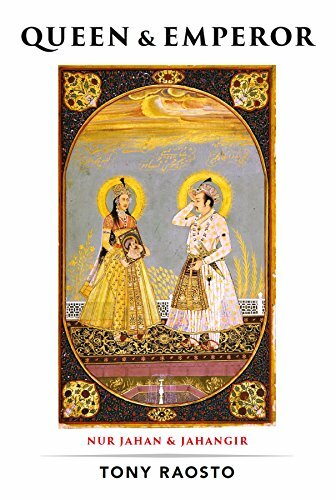 At first, Nur Jahan is merely another consort of the emperor. Her husband, Jahangir, has no interest in ruling India or leading his country into the future. While he wiles away his days in a haze of drugged bliss, his wife is consolidating power and gathering allies. Nur Jahan is determined to change the empire, and she becomes an icon. However, not all is well within India. There are many who chafe under the rule of a woman and would stop at nothing to see Nur Jahan deposed or dead. Will she be able to hold on to her power in a time when women are powerless?